From prosecuting war crimes to writing books for young adults. Melati Lum’s professional career began in law, but not the kind of law that springs to mind for most South Australians. She’s not a family lawyer, or a corporate lawyer – Melati is a criminal lawyer. And early in her career that choice took her from her home in Australia to The Netherlands, where she, “worked for the United Nations assisting in the prosecution of war crimes that had occurred in the former Yugoslavia,” she says. Ayesha Dean: The Istanbul Intrigue is available from Dymocks in Rundle Mall, Dillons Norwood Bookshop, as well as other bricks and mortar retailers and several online outlets. Eventually though, Melati and her young family returned to their home in South Australia. And while she continues to practice law, since returning she has developed a new career altogether: author of books for young adults. 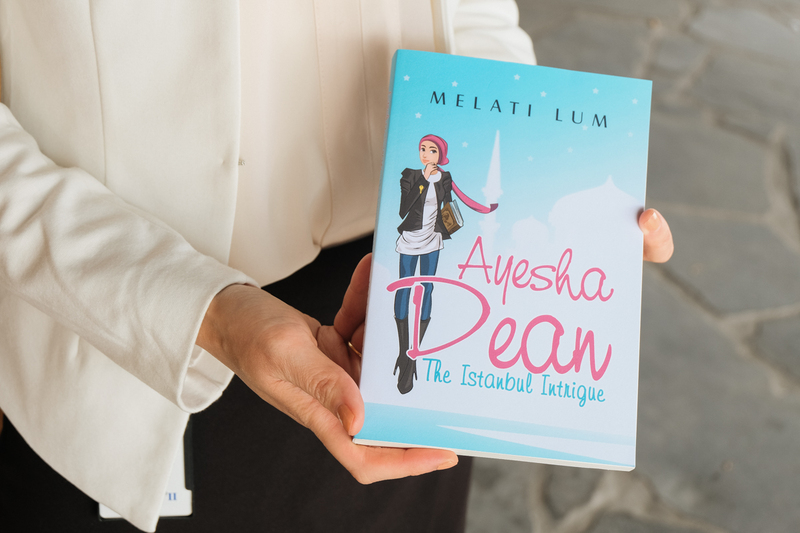 Melati’s debut novel, Ayesha Dean: The Istanbul Intrigue, didn’t spring purely from an irrepressible urge to write. Instead, it is the result of her observations about children’s literature. “I got the idea when my son was in that middle age group and I was struggling to find reading material for him,” she says. “And what I could find the same character came out – just white, no characters of diversity. “Growing up here, most of the characters you see in books or on TV are the same kinds of characters. They’re all from the same generic race or background and whenever there was someone diverse they would be in the background or the villain, or if it was an Asian character they would always be the geek. Melati’s writing experience was mostly in the legal field – but she drew on a voracious appetite as a reader and some of her own first-hand experiences to craft a world and mystery for Ayesha Dean to explore. “I have a lot of experience reading fiction – I love reading and I have always loved reading since I was a kid,” she says. The title, which was published last year, is already being well received. Melati has had positive feedback from teachers, librarians, and good online reviews that have driven international e-retailers to pick up the book. But her favourite feedback is from the young readers themselves. “I love getting feedback from kids,” she says. “Often they’ll write and say ‘I learnt about my friend who is in my class, or I learnt what the hijab is’ or something like that, and I love that. Melati is already working on the second book in the Ayesha Dean series, which she hopes will be ready for publication in the next year.